Get a whopping 80 percent discount on this stylish Alpine Swiss Bella. This convertible jacket almost completes your winter wardrobe. A versatile design, the jacket can be worn as buttoned-up shirt like collar to keep it warm and formal, funnel neck to keep it real cozy and stylish at the same time and as a chic double pointed v-neck lapel. 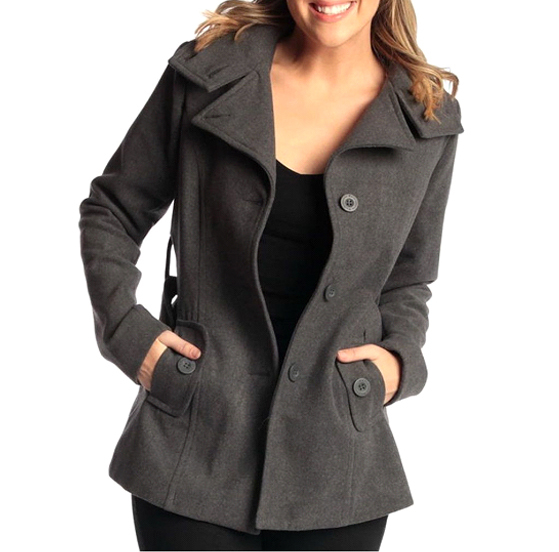 With its soft satin lining on the inside and wool & polyester knit on the outside, the jacket is as comfortable as it gets. Wear it with or without the belt to suit your style. Feel good about buying this jacket. Alpine Swiss donates 250 meals to the underprivileged, hungry kids through partnership with Children’s Hunger Fund.